Many MATs we work with used to spend days producing spreadsheets that assessed the state of compliance across their schools. Now, with our real-time RAG rated dashboard, this takes seconds! End-to-end compliance tracking is only available from Every. Schools are using our simple smartphone Apps to complete tasks whilst the Trust compliance officer is viewing the state of compliance, in real-time, across a broad cross-section of areas from HR, through to H&S and Governance. Using the Compliance Manager you are able to distribute activities across to all your schools enabling implementation of the Every system across multiple schools within minutes. It will also help you identify where you might need to allocate extra resources and which schools are excelling within your trust. Every Compliance Manager enables you to set your compliance standards at Trust level. Whether you're a small special school or a multi academy trust with over 50 schools, Every has something to offer you. With modules that manage the key areas of school operations, we've got it all covered. Business Management is ideal for managing contracts, compliance and issues. If you're a single school, get organised with everything in one place and if you're a trust, there's a dedicated dashboard that provides you with transparency across all your schools. Supporting the DfE strategy of Good Estates Management for Schools, the Capital planning & projects module is ideal for the strategic and operational planning of capital allocations, DFC and projects across your organisation. Record condition related information in standard A-D, 1-4 format compliant with DfE/EFA standards. Create projects with milestones, funding sources, link condition data and other related property help desk items. Manage milestones and workflow processes for integration with finance practices. Integrates with other Every modules including Documents for distributing key project documents, and link to a live risk register. Easily distribute documents to your staff to be read and acknowledged. Ensure staff have the current policies, risk assessments or other documents. Staff have their own dashboard to view documents that need to be read and acknowledged. Automated reminders of documents that are approaching their review date. Manage the versioning and approval of essential documents. Distribute the document to key approval members for comment prior to distribution. Distribute documents to staff members individually or through groups. Keep a track of those documents that have been read and acknowledge by which staff member. Ensure the correct document is up-to-date and is the current version in use. Publish key policies to the school website automatically. Easy to read dashboard on the distribution statistics of documents. We have expanded our offering to include approximately 50 dedicated, education focused online training courses. Course lengths vary between 30 minutes to just over an hour and are broken down into easy to run sections with a test at the end. View which courses have been started, partially completed and fully completed. Set pass marks, assign specific courses to users and download certificates. With over 50 dedicated courses we've got it covered. Available courses include Fire Awareness and Fire Warden training as well as Food Safety and Hygiene, First Aid and Safeguarding. Course lengths vary between 30 minutes to just over an hour. Courses are broken down into easy to run sections with a test at the end. View which courses have been started, partially completed and fully completed. Set pass marks, assign specific courses to users and download certificates. As an optional module of the Every Compliance Management solution, Incident and accident reporting is an easy to use, online system that simplifies and improves the procedures for reporting incidents and accidents. Incident reporting that complies with DfE, Ofsted and legal requirements for recording incidents as well as assisting with RIDDOR submissions. Receive an alert automatically, by email, when an incident of a particular severity is recorded. Preempt and intervene more effectively by viewing trends in recorded incidents that may lead to more significant events. 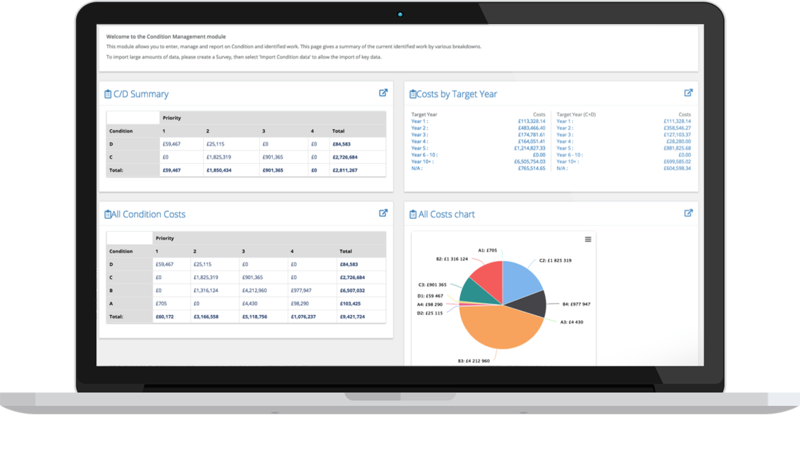 The Risk management module is now available and allows the user to record, assess, manage, and report on strategic and operational risk across your organisation. Every provides a single integrated tool that allows operational tasks to automatically update the status of the risk, i.e. a user can update a task on the smartphone app and the corresponding risk is automatically updated. Select from a library of pre populated risks applicable to the education sector. Create risks unique to your organisation. Use standard risk scoring algorithm to calculate the risk pre and post control. Assign tasks to risk owners and associated stakeholders and report on progress.